The right of every English man and woman that their chicken tikka masala, the nation’s favourite dish, the remnants can be put in the bin without the worry that a fortnight later it is rotting and making life unpleasant. More than half of all councils have switched to fortnightly collections over the past few years. 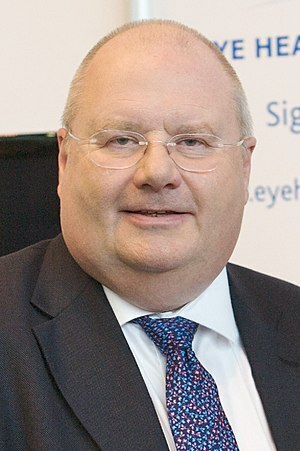 Eric Pickles has pledged £250million fund to help local Councils switch to weekly collections. At the same time, other rights such as the right to vote is being attacked by the Conservative and Lib Dem Coalition Government. However Eric Pickles will be delighted that under Brent’s Waste Strategy, he can enjoy his chicken tikka masala on a Friday night, put any leftover waste in his food waste bin and have it collected weekly. His food waste under Brent’s system will be recycled as organic waste weekly. If he wishes to put it in his grey bin which is for non-recyclable material however, it will be collected fortnightly. But it makes no sense for him to do that as he has the option to put it in his green bin and have it collected weekly. Posted on October 11, 2011 October 9, 2011 by Cllr Krupesh HiraniPosted in Brent, Con Dem Nation, EnvironmentTagged Brent Waste Strategy, Chicken tikka masala, Conservative, England, Eric Pickles, Eric Pickles MP, Food waste, Fortnight, Fortnightly collections, Korma, london borough of brent, Politics, Recycle More.